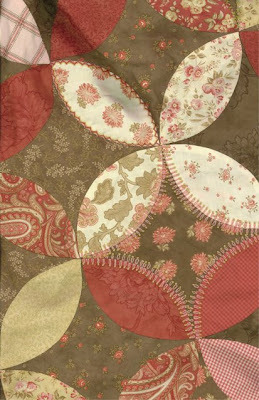 Working hard on fantastic new stuff for Quilt Market. The new things will be avavilable in Stores beginning September. Check some of the things out by going to the moda designers blogs listed in my side bar. I thought I could at least show you a sneek peek of 2 of the projects i am working on. When it is quilt market time we tag team on alot of projects. I think one of the quilts has about 6 different people working on it. I wish i could tell you more but the shops get to see it first in Pittsburgh. Check out the moda designers blogs!I maybe posting a few twitters bits of info as the countdown to market continues. Meg & Carrie have told me I'd like them . . . & they're right!. . . Love em! (& can't wait to see what you've been making!!' See you soon! All of the sneak peeks for market are wonderful…they make September seem like such a long way off…how hard it’s going to be to wait for everything to come out! Congrats to Aleisha and Amy, too! Congratulations to the winners. Oh Market must be so much fun! Can’t wait to see all of the new goodies. Wow! I never win anything. Not even bingo. I’m so excited! Thanks, Lissa. Sorry my email was being strange. Good luck getting ready for Market! and yayyy for market…how fun!!! Yes you can ‘schedule’ an item to post at anytime. I do it all the time. If you make a post and save it to be posted at another time, it doesn’t work like that. oooh have fun fun fun! Can’t wait to see them. Thanks for getting Laurie’s fabs to me..LOVE THEM. Have a great time at Market! I am so sad I am not going. Love the sneek peeks! ah I love reds and browns, beautiful fabrics. Love the stitch your using to applique, pretty. Love the fabrics!! Looking forward to market pics. Wonderful fabrics! And I love the stitching on your applique’. Good luck at quilt market! I just posted a great idea for Moda charm packs on my blog! I love the fabrics and the new project looks good too. I am so sad to not be going to Spring Market this year. Thanks for the peeks. I love the fun stitches on your applique! YOU ROCK! I love these designs!!! Can’t wait to see them! Clever girl!!! 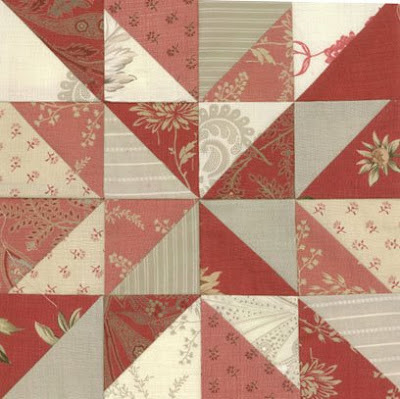 did you use a pattern on that gorgeous baby quilt? i’m thinking about a couple of bolts of bella and a bolt of giant ric rac…. i’ll have to figure out your blocks. nicely done. don’t mind me if i shamelessly copy you!!! I'm swooning over the new French General Fabric!